Welcome back to Week 2 of Cupcake Boot Camp! Last week we covered the basics of baking cupcakes, and today we are going to show you how to add filling to cupcakes. Note: if you are having trouble hearing the video, set your speakers on your computer up a bit or after you begin the video, in the lower left hand corner you will see a speaker icon, you can adjust the You Tube volume there. 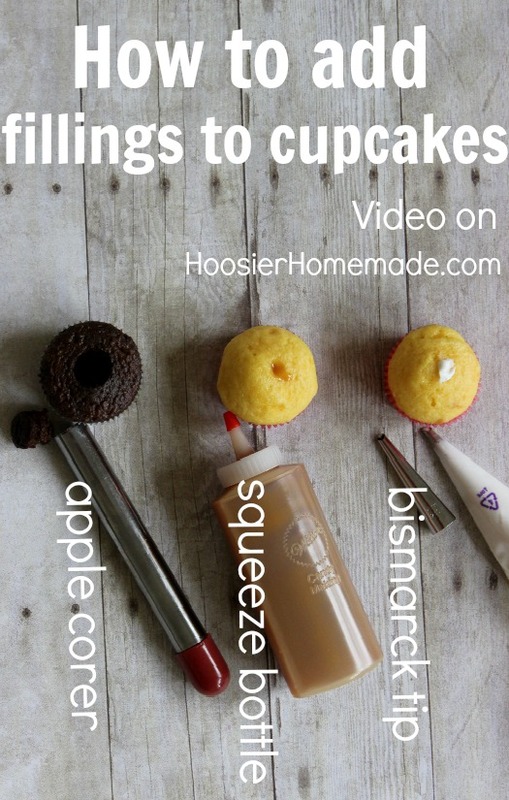 Over the next 6 weeks, we will be covering tools, techniques, how to frost cupcakes, candy clay, decorating with candy, filling cupcakes and more! We will also be wrapping up Cupcake Boot Camp with a fabulous giveaway from Wilton worth over $200 and Duncan Hines mixes and frostings. Disclosure: I was sent Wilton products for my review. It did not by any means sway my opinion. I love Wilton products and use them every day. There are affiliate links in the post. So helpful!!! Thank you for sharing! What a great series ~ Cupcake Boot Camp ~ much better than exercising unless eating cupcakes counts as exercise then I’m a champion. Loved the video as well. 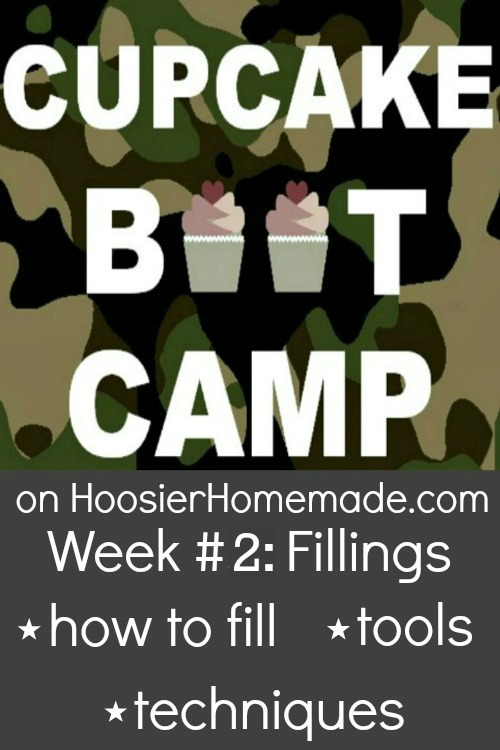 My fav bootcamp – loved the tips for filling cupcakes – yummy! Perfect timing! I’m making cupcakes this weekend. Luckily, I have all of the equipment needed! Pinned for my followers! Thrilled you are enjoy the Cupcake Boot Camp, Meghan!